← Take time to make YOU good. Real good. 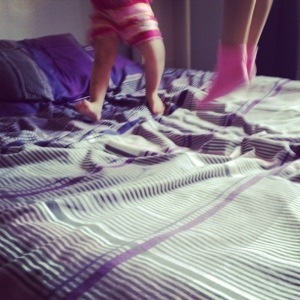 Two little monkeys jumping on the bed. And one mother just letting them be.